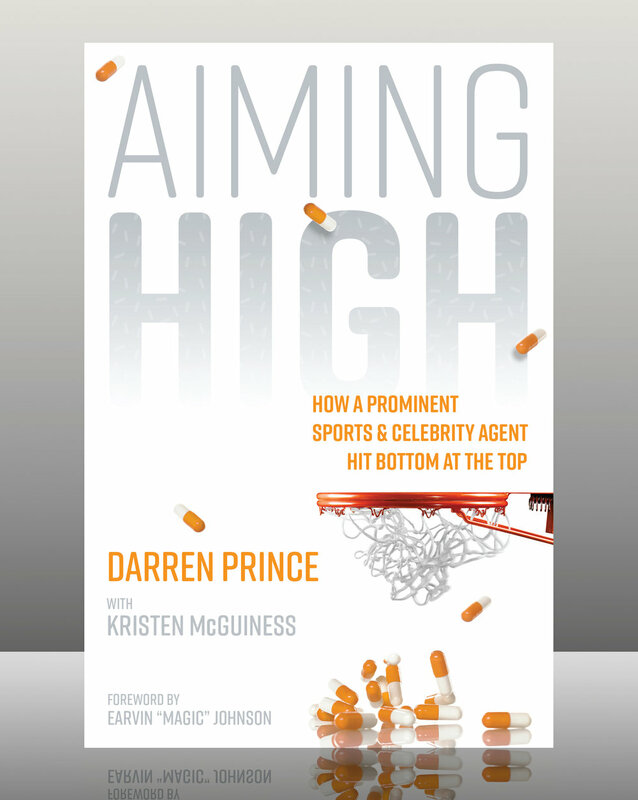 Well known sports and celebrity agent, Darren Prince has now taken on a new role of author and advocate – this time representing recovery and hope for those who struggle with addiction! Darren Prince grew up in Livingston, New Jersey and started a mail order company selling baseball cards at the age of 14 called Baseball Card City. By the age of 20 he was a self-made millionaire. He formed Prince of Cards which became an industry leader in private autograph signings for sports and celebrity memorabilia with athletes and celebrities. A-List celebrities like Muhammad Ali, Magic Johnson, Pele, Joe Montana, Smokin’ Joe Frazier, Dennis Rodman, Chevy Chase, Pamela Anderson, Carmen Electra and Jenny McCarthy all worked with Prince. In 1996 a new venture was founded, Prince Marketing Group, which represented athletes and celebrities for marketing deals consisting of endorsements, licensing, television, movie, book deals, autograph signings and appearances. More well-known athletes and superstar celebrities like Hulk Hogan, the late Evel Knievel and Burt Reynolds, Scottie Pippen, and Motley Crue frontman, Vince Neil among others signed with Prince for representation. However, if you ask Prince for his biggest and most important accomplishment he would tell you that it is being sober! With emotion and passion he honestly shares his story of attaining fame and success, yet still being held back and struggling within the dismal dark world of addiction. He invites audiences to share with his success in the journey out of that world into recovery and inspires compassion in others today! His new book, “Aiming High”, with foreword from Magic Johnson, details his ride up with famous stories along the way, as well as his ride down with never before told stories. The book and Darren’s decision to do more recovery advocacy and speak out to others is part of his dedication to contributing to the conversation that needs to be front and center today. He speaks about awareness, prevention and cautions others at a time where record numbers of Americans are dying from substance use. Darren is a true entrepreneur, not only continuously reinventing himself and his business over the years, but now traveling the new pathway of recovery for the last decade. He has been featured in ESPN, New York Times, Wall Street Journal, New York Post, USA Today, Forbes’ Sports Money, Howard Stern Radio, CNBC The Closing Bell and a variety of other media outlets.